Traditions are made by people. We do something at a certain time and then we repeat it when that time rolls around again. There are young traditions and old traditions, but the longer a tradition is around, the more it’s part of the culture and a holiday just doesn’t feel like a holiday without it. People eat certain foods, drink certain drinks, and enact certain rituals every year. Plants are parts of people’s traditions because plants are a natural part of where people come from. And when they emigrate, they often take those useful plants with them. Crataegus mexicana or tejocote, is one of the many native species of hawthorn in North America. It is native to dry highlands in southern Mexico. It varies from shrub-like to more tree-like in form, reaching up to around 6m in height. It can take a certain amount of frost as well as drought, which has made it popular for rootstock experimentation in parts of Mexico and the US that are prone to both. While the southern US has a tradition of using Crataegus fruit to make mayhaw jelly, Crataegus mexicana fruit takes on an important holiday aspect in Mexico. California grows a large percentage of the produce in the United States and as such has long been concerned with controlling plant-related items that come across its border for fear of invasive agricultural pests. Thus a crucial ingredient to Mexican and Mexican-American Christmas traditions became a forbidden fruit. It was feared imports of the fruit would harbor fruit flies and other pests so it was not legal to import it. 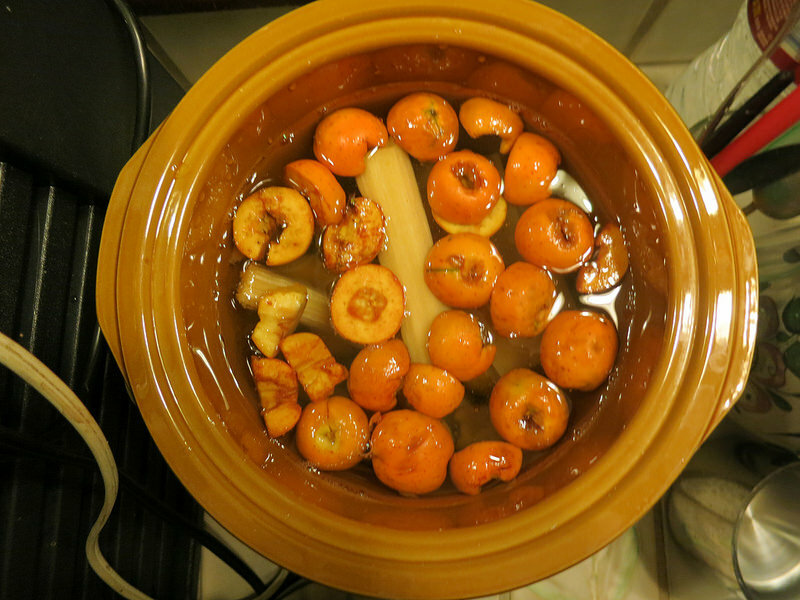 The fruit of the tejocote is used in ponche – a heated fruit punch made of tejocote, guava, sugar cane, and spices. And it just didn’t feel like Christmas without it so people were willing to pay high prices for smuggled tejocote. In recent years, Californian fruit explorers and researchers have argued that it’s not realistic to merely forbid imports of fruits, vegetables, herbs, seeds and nuts that are of cultural importance to California’s many ethnic minority communities. A more effective way of keeping out agricultural pests and diseases is to assure clean inspected sources of plant material to cut the market from under those who would illegally import them because when it comes to traditions, people will find a way. The restricted supply of tejocote also made it attractive for US growers to fill that need if they had the right growing conditions and could legally get ahold of propagation material. 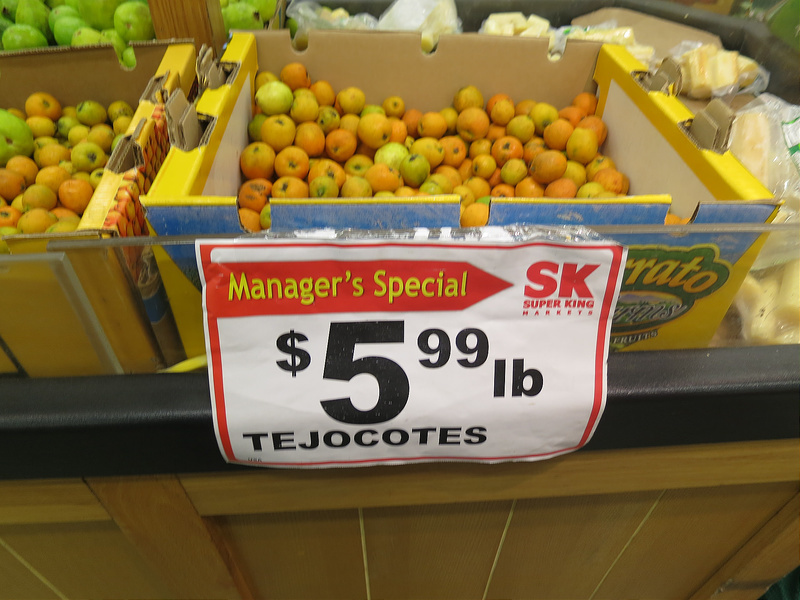 It’s been about a decade since people in Southern California could find legal sources of tejocote in their local ethnic groceries. Tejocote can now be found in several supermarkets that cater to specialty produce and at prices that are roughly half what was charged for smuggled fruit. Navidad can be feliz again! 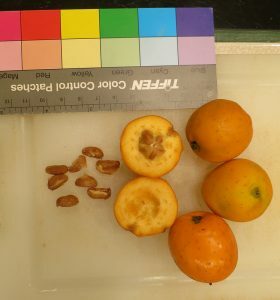 Editors note: for those interested in other US hawthorn cookery you might have a look at the mayhaw: Mayhaw jelly which is made with Crataegus aestivalis, C. opaca and C. rufula fruit. And for more on Mayhaws in cultivation here. 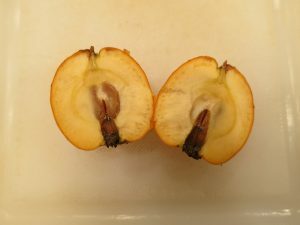 This entry was posted in Advent, Herbarium RNG, Public Engagement with Science and tagged #AdventBotany, Crataegus aestivalis, Crataegus mexicana, Crataegus opaca, Crataegus rufula, Megan Lynch, tejocote. Bookmark the permalink.